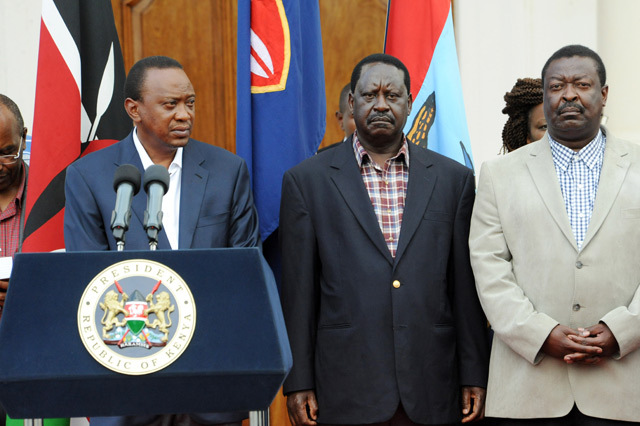 Who paid for the Westgate attack? As the forensic experts sift through whatâ€™s left of Nairobiâ€™s Westgate shopping mall one question is not being asked: who paid for the Westgate attack? As every journalist knows, the rule is always to follow the money â€“ find the financiers. So who did pay for the atrocity? There is plenty of evidence of where al-Shabaab gets its money from. This is to be found in the lengthy reports for the United Nations Security Council. They are prepared annually by a team of experts and are a detailed source of evidence. They are very long and â€“ to save time â€“ I have copied the relevant sections from the reports in below. I have not included the footnotes, which is why numerals appear in the text without explanation. Briefly, these are the sources of funding al-Shabaab draws on. The UN experts believed these are the most important, in descending order when they drew up a lengthy section of their 2011 report. Despite al-Shabaabâ€™s reverses, the categories are probably still valid. They report that the group raised an estimated $70 â€“ $100 million a year. The UN experts name Ali Mohammed Ali â€˜Abdullahiâ€™ as being the key financial officer within al-Shabaab. â€¢ Taxation and extortion â€“ this has probably declined, as al-Shabaab has lost control of the towns. Aid agencies operating in Somalia have been among those who have been fleeced. â€¢ Commerce, trade and contraband â€“ the tax on charcoal exports should have declined, given the loss of the southern port of Kismayo, but there is evidence that the leader of the area, Ahmed Mohamed Islam (known, like all Somalis by a nickname â€“ â€˜Madobeâ€™) â€“ allows the trade to continue. â€¢ Diaspora support â€“ this has also continued, which may explain why Barclays Bank is cutting its money transfer service. â€¢ External assistance â€“ this flows from Kenyan groups like the Pumwani Riyadha Mosque Committee based in Nairobi. As detailed below, businessmen in Saudi Arabia and the Gulf states are also important sources of funds. 60. Notwithstanding the military stalemate and putative schisms within its leadership, the economic health of Al-Shabaab is more robust than ever. The movement continues to consolidate its control over multiple sources of revenue, which are used to pay for the salaries of its fighters, and for arms and ammunition and to sustain military operations. The Monitoring Group conservatively estimates that Al-Shabaab generates between $70 million and $100 million per year, from duties and fees levied at airports and seaports, taxes on goods and services, taxes in kind on domestic produce, â€œjihad contributionsâ€, checkpoints and various forms of extortion justified in terms of religious obligation, or zakat. 62. At the same time, Al-Shabaab is evolving from an armed faction into a lucrative consortium of business interests, both within Somalia and abroad, whose members benefit from cartel-style trading practices, tax breaks and mutual facilitation. Moreover, there are indications that Al-Shabaab trading networks may also be used to camouflage charitable contributions from sympathizers in the Gulf States. 65. The vast majority of imports via Kismaayo are not intended to serve the local population, but are destined for other parts of southern Somalia that could be equally or better served by Mogadishu or be smuggled into neighbouring countries as contraband. 66. Taxation of businesses in Bakaara and Suuq Baad markets is estimated from $2.5 million to $5 million per month, or between $30 million and $60 million per year.36 In addition to those taxes on businesses, Al-Shabaab operates a comprehensive web of mobile military checkpoints where transportation operators and passengers are all obliged to pay taxes for free passage. For a more detailed analysis of Al-Shabaab taxation, see annex 3. 67. Although Al-Shabaab officially discourages the practice of qaad chewing, and in some places bans it outright, the movement nevertheless used to allow its import via airports under its control, presumably because of the opportunity it offered to collect additional taxes. Until 16 October 2010, Blue Bird Aviation Limited and Freedom Airlines Express Limited were also operating an average of one flight per day to Mogadishu West airfield, also commonly known as â€œKilometer 50â€ or â€œK50â€. 68. On 16 October 2010, Al-Shabaab took over K50 facilities,38 reportedly expelling Ahmed Duâ€™aleâ€™s militia and leading Kenyan authorities to prohibit flights to the airfield. According to Kenyan operators, Al-Shabaab made an offer to pursue the cargo activity at K50, which Blue Bird refused, transferring all their flights from that date onward to Mogadishu International Airport.39 Al-Shabaab therefore no longer appears to have access to tax revenues from qaad transported by air. However, it is the assessment of the Monitoring Group that importation of qaad from Kenya by road in Al-Shabaab-controlled areas was continuing at the time of writing. 69. Unlike businesses with fixed assets in Al-Shabaab areas, such as telecommunications and hawalas, import/export traders have the option of alternative ports through which to do business. The Monitoring Group therefore considers many of the major traders and transporters who use Kismaayo to be consciously and voluntarily engaging in commercial transactions that accrue significant financial benefit to Al-Shabaab, a designated entity, and therefore to be in potential violation of Security Council resolution 1844 (2008). 71. This trade cycle is dominated by networks of prominent Somali businessmen operating mainly between Somalia and the Gulf Cooperation Council (GCC) countries, notably Dubai in the United Arab Emirates.41 Al-Shabaab not only attracts their business by imposing lower rates of taxation in Kismaayo than at ports controlled by the Transitional Federal Government but also actively promotes largescale imports of sugar and exports of charcoal by offering preferential access and tax breaks to Al-Shabaab affiliated businesses. Two of the most prominent figures in the network are businessmen with historical linkages to militant Islamist groups in Somalia: Abukar Omar Adaani42 and Ahmed Nur Jimâ€™aale.43 For a more detailed analysis of Al-Shabaabâ€™s charcoal-sugar trading cycle, see annex 3.1. 73. It is common practice for bills of lading and manifests of vessels heading to southern Somalia to declare Mogadishu as the port of delivery and deliberately avoid making reference to Kismaayo. Informal agreements between transporters and the shippers determine the division of cargoes between Mogadishu and Kismaayo. 76. The viability of the Kismaayo trade corridor depends in large part upon its proximity to Kenya, the remote and porous 682 km border and the profitability of the contraband trade. Furthermore, the Monitoring Group believes that well-organized criminal networks with links to Al-Shabaab are taking advantage of the porosity of the border to smuggle people, commercial goods and weapons. Several of the individuals involved are well-established businessmen and real estate investors in Kenya. An opportunistic and mutually beneficial kind of â€œpax commercialeâ€ has been established between those criminal networks and Al-Shabaab. 79. In its March 2010 report (S/2010/91), the Monitoring Group extensively documented diaspora support networks for Al-Shabaab.54 There is no doubt that many ethnic Somalis living abroad continue to engage in radicalization, recruitment and resource mobilization on behalf of Al-Shabaab, but it has not been possible during the course of the current mandate, to quantify whether that channel of financial assistance has grown in importance or declined. 80. During the course of the mandate, there have been indictments and judicial proceedings involving individuals accused of providing material and financial support to Al-Shabaab in Norway, Sweden, the United Kingdom and the United States. Most of the cases date from the period 2007 to early 2009 and do not shed much light on current trends. 18. The Amniyat is the special clandestine division of Al-Shabaab, under the direct leadership of Ahmed Godane and operational command of Mahad Mohamed Ali, a.k.a. â€˜Karateâ€™â€¦. 27. The Monitoring Group had further access to three additional cases in which cash U.S. dollars were collected from the Somali business communities in Saudi Arabia and the United Arab Emirates, and transferred by remittance companies to Mogadishu, with the knowledge and aim of financing terrorist activity in Somalia, and specifically to support Amniyat operations in Mogadishu. In the period October to December 2012, the aggregate amount transferred for the four operations was approximately 100,000 USD.21 In addition to spreading fear amongst the population and government officials, Somali businessmen in the diaspora supporting Amniyat assassinations may serve to achieve ulterior goals, whether clan revenge or elimination of business competitors or political opponentsâ€¦. 34. Over the years, Al Hijra in Kenya and its Somalia-based fighters have proven adept at mobilizing resources for Al-Shabaab activities in Somalia and the region. As detailed previously by the Monitoring Group,13 the Pumwani Riyadha Mosque Committee has played a clandestine role and continues to provide financial support to Al Hijra, particularly its fighters returning from Somalia to Kenya. In some cases, this support has been earmarked for attacks on behalf and in support of Al-Shabaab. During the mandate, a change was observed in attitude between the Pumwani Riyadha Mosque Committee and Al Hijra as a result of the new Kenya Prevention of Terrorism Act (2012).14 However, information and evidence suggests that funding of Al Hijra activities on behalf Al-Shabaab persists. 35. In addition to the Pumwani Riyadha Mosque Committee as its conventional source of funding, Al Hijra seems to have benefitted from an increasing number of â€œgoodwill donationsâ€ from â€œMakaburiâ€ and other key contributors from the Muslim community in Kenya to carry out attacks on behalf of Al-Shabaab.15 In addition, Al Hijra has received similar financial assistance from overseas. 39. A detailed assessment of Al Hijra activities on behalf and in support of Al-Shabaab is included in annex 3.1 to the present report (strictly confidential). 1. Few international agencies still work in Al-Shabaab controlled areas for two reasons. First, Al-Shabaab has lost significant ground in the past twelve months and redeployed from major towns to mostly rural areas. Second, Al-Shabaab has banned the vast majority of international organisations from operating in areas under its control. Nevertheless, a few international and national non-governmental organisations (NGOs) are still able to work in some Al-Shabaab strongholds. They face challenges of coordinating with local authorities while trying to ensure that resources do not get diverted from intended beneficiaries. 2. Agencies who have worked or still work in Al-Shabaab areas report similar experiences. To implement a programme they must coordinate with local authorities and ensure their support. Some NGOs described that they had to halt their projects before even beginning since the authorities attempted to influence the targeting of beneficiaries, at times up to half of them, and replace them with their supporters.1 Others have struggled to refuse to pay direct taxes to Al-Shabaab who demanded either a lump sum â€˜registration feeâ€™ or a percentage of the value of the project, or both. In addition, Al-Shabaab has occupied the compounds and warehouses of many NGOs they have banned. 3. The payment of taxes to Al-Shabaab is a sensitive issue for humanitarian agencies because of the legal and ethical implications. While most agencies are adamant that they have not paid direct taxes to Al-Shabaab authorities, many admit off-the-record to having reimbursed their national staff when they did, or to having actually increased national salaries to make up for the taxes imposed on them by Al-Shabaab authorities.2 In some cases, beneficiaries were taxed by Al-Shabaab with the full knowledge of local and international agencies responsible for the programmes. Donors, including the European Union and the United States, are fully aware of the price to pay for operating in Al-Shabaab-controlled areas. Yet, they continue to employ the rhetoric of zero tolerance for Al-Shabaab receipt of their funds.3 Doing so results in a tacit â€œdonâ€™t ask, donâ€™t tellâ€ policy between donors and the agencies they fund whereby the agencies ultimately bear the reputational and legal risks of resources leaking to Al-Shabaab.